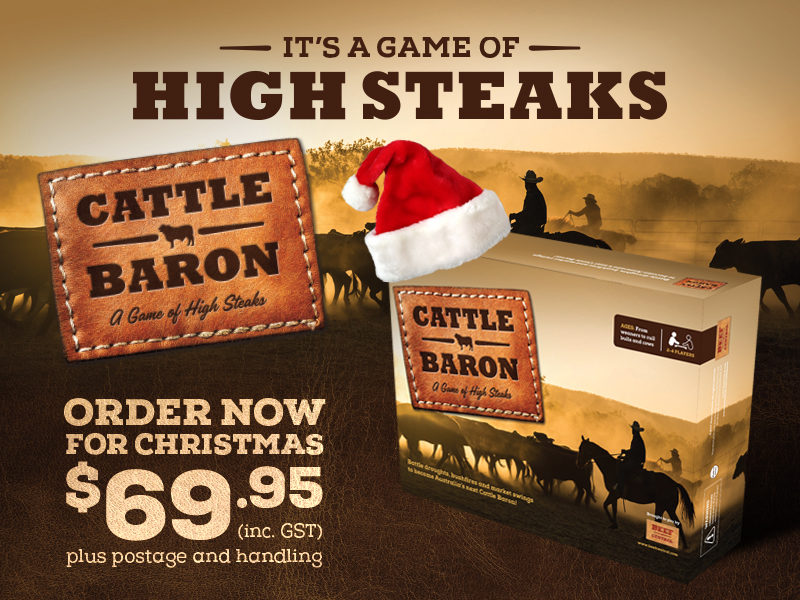 BEEF Central’s new board game, ‘Cattle Baron – A game of High Steaks’ is proving to be a popular Christmas present idea for anybody with an interest in the Australian cattle industry. Cattle Baron was launched in the nation’s beef capital, Rockhampton (Qld) during the Beef 2018 event back in May. 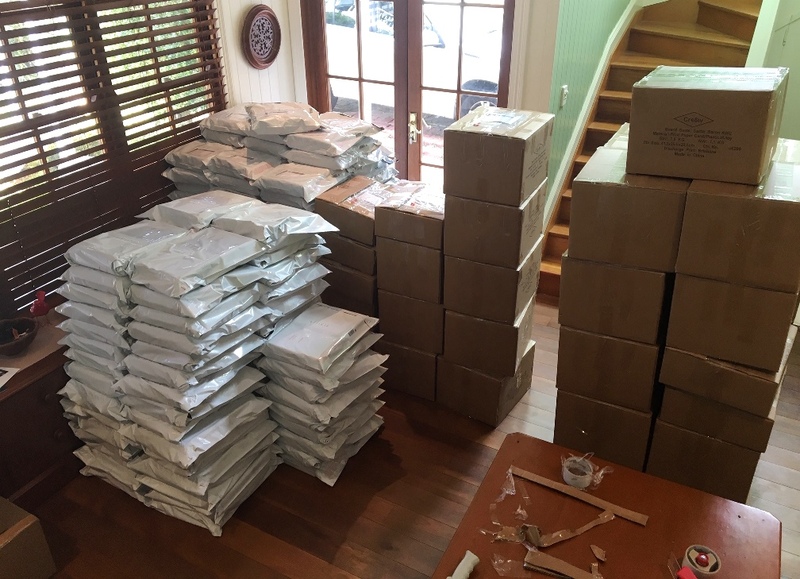 The response was overwhelming, with the first print-run quickly selling out, but we’ve now received a second large consignment of games from our printers overseas, in plenty of time for Christmas orders. ‘Cattle Baron’ puts players in charge of their own Australian cattle station, developing their property’s pastures, watering points and fences, and investing in top bulls to improve and expand their herd. But beware – just like the real cattle industry, potential setbacks like droughts, bushfires or cattle market swings could be waiting around every corner! Along the way, learn how Australian cattle producers work in an environment of unpredictable seasons and volatile markets to sustainably improve their land and their cattle to produce premium quality, clean-and-green Australian beef for customers around the world. Reader response to the game since its May launch has been tremendous. Samantha Mort, from Franklyn Vale near Grandchester in Queensland’s southeast, has now bought three copies of the game since May. “Every time friends come over and we play the game, they like it so much they take our copy home – so we have to keep re-ordering a replacement,” Samantha said. “Best board game ever!” was the verdict of Brisbane reader Brendan Tatt, after he and his sons gave the game a spin after their purchase in May. Cattle Baron is a game the whole family – from weaners to cull bulls and cows – will enjoy. The game is not available through retail stores, but can be purchased exclusively through Beef Central. For purchasers in more remote parts of the country, we advise placing orders by December 10, in order to make Christmas delivery. Before putting my order in tho, I just wanted to ask how many copies you might have left?? Thanks so much.